You know, I never did get around to telling you about the new over-the-air TV antennas that Televes gave me at CES. Let’s fix that now. 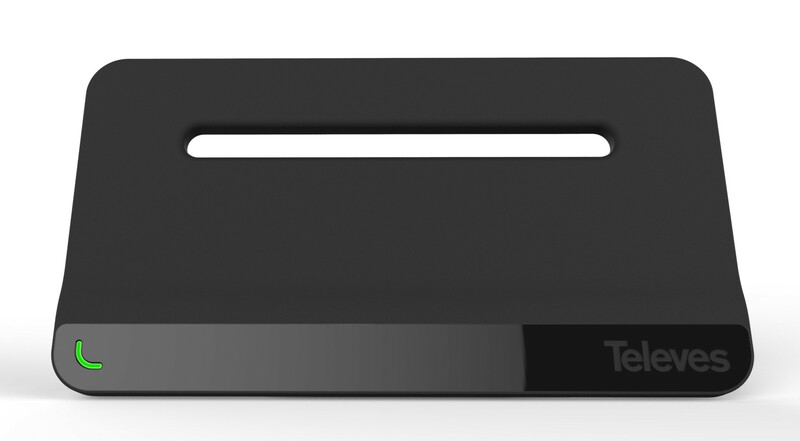 You might remember that at CES this year, I met Javier Ruano, GM of OTA antenna maker Televes. Here’s one of the benefits of attending the last day of a convention: Ruano offered to let me try out some of his display models if I dropped by when he closed the Televes booth. When I came to collect, there was an impromptu demonstration that these antennas are much harder to take apart than they are to assemble, then I was on my way. I shipped the largest via FedEx and brought a couple more as carry-ons on my Southwest flight home. CES is in January, and FreeTVBlog’s World Headquarters of Denver is known for snow. 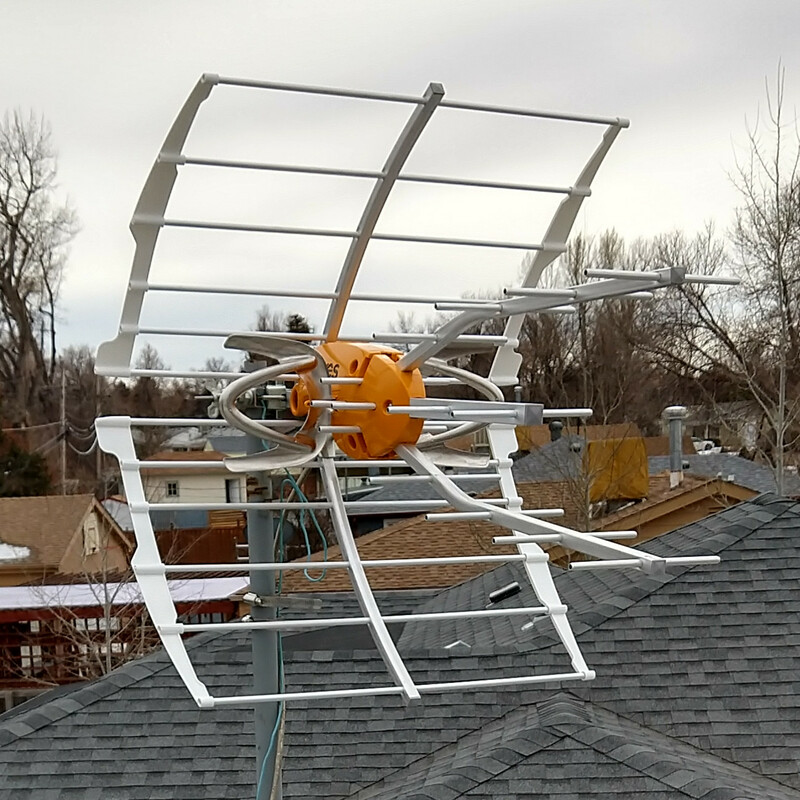 We got an extra helping of the white stuff this winter, which was great news for skiers and the water supply but made it difficult to time a safe trip to the roof to test the new Televes Ellipse against my incumbent, an excellent Cable Cutter antenna from HD Frequency. While I waited for a rooftop opportunity, I descended to the basement’s indoor antenna torture chamber. There in the world of foundation walls and casement windows, over-the-air TV reception is really tough. So that’s where I like to try out various indoor “solutions” to see which ones might be sensitive enough to pick up the local transmitters 17 miles away. Let me mention here again that TV signal quality measurements vary quite a bit from hour to hour, sometimes minute to minute. And that’s on top of the variation that can be introduced by different coax cables, even those that seem identical. My testing technique was strictly A/B, swapping one antenna for another while keeping everything else the same. My measuring tool was the amazing HDHomeRun receiver, which reports signal strength, signal-to-noise ratio, and the most important, signal quality. I could get into the weeds here with all the measurements of Televes’ Bexia vs. the square RCA antenna that Dish sent over during one of its retransmission spats. (It’s something like this one.) I’ll spare you the channel by channel quality numbers. Although a few of its frequencies showed lower numbers than the amplified RCA square, the Bexia pulled in a wider range of usable channels from its awful position by the ground-level casement window. I wish I could link to a product page, but the Bexia appears to be a prototype, so all I could find was a YouTube video. Weeks passed, and a week of warm weather invited me to the roof. After the difficulty of taking it apart at CES, I was surprised that the Ellipse really did snap together in less than a minute. Up on the roof, the only installation drawback was that the centered coax connector lined up with the mounting pole; an connector on one side or the other would have worked better. It made the connection more awkward, but with a 7/16-inch wrench, anything is possible. Measured against the old champ, the Ellipse’s VHF was a bit weaker though definitely good enough. (I later learned that was because the CES demo unit was also a prototype, without the VHF element of the finished product.) The Ellipse’s advantage was on some UHF channels that had been plagued with dropoffs because of signal reflections. Those signals were now continuous. A few of the strong UHF channels showed lower SNR percentages than the Cable Cutter produced, but the weaker UHF signals came in stronger. That prototype is still mounted on the roof, and the family is pleased. The flat HD Frequency Cable Cutter is well suited for both indoor and outdoor use, but in a way it’s kind of nice to once again have a rooftop antenna that looks like a TV antenna.